Hi There, It has been way too long. Sometimes I don’t know where the weeks, months go but I have decided that it is not an excuse to not blog. It is “interesting” though that when you get soaked up in work and/or life, the things that give you the most pleasure are the first to go. It is proper winter now in Cape Town and although I try to not let my mood get affected by the weather too much, it somehow does make me look for more “feel good” inspiration images/articles. Therefore I couldn’t wait to share my favourite closet images with you, that I found mainly on Pinterest (because who does NOT love Pinterest). 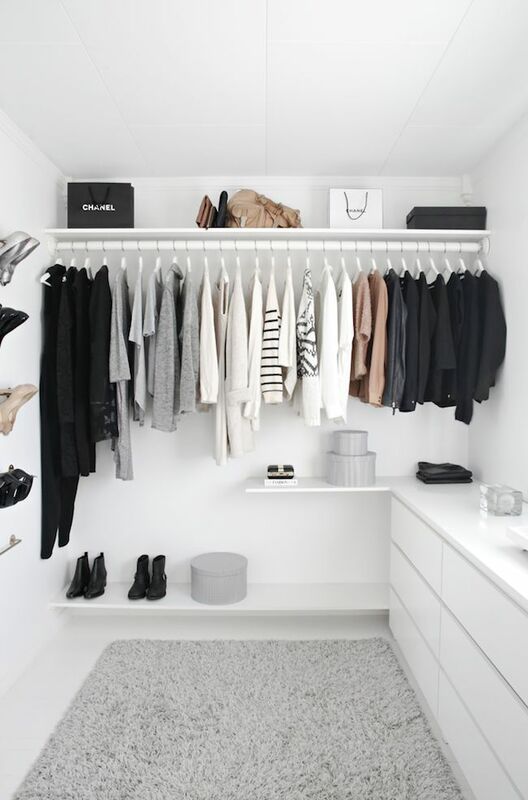 One of my main dreams is to one day have this beautiful walk-in closet where all my clothes are colour-coded and just displayed in a way so you can actually find stuff. Which one is your favourite or do you have tips for me on how you display/pack your clothes? and then these amazing clothing rails – not very practical but still beautiful. Follow me on Instagram for more inspiration.